Item # 317443 Stash Points: 2,495 (?) This is the number of points you get in The Zumiez Stash for purchasing this item. Stash points are redeemable for exclusive rewards only available to Zumiez Stash members. To redeem your points check out the rewards catalog on thestash.zumiez.com. 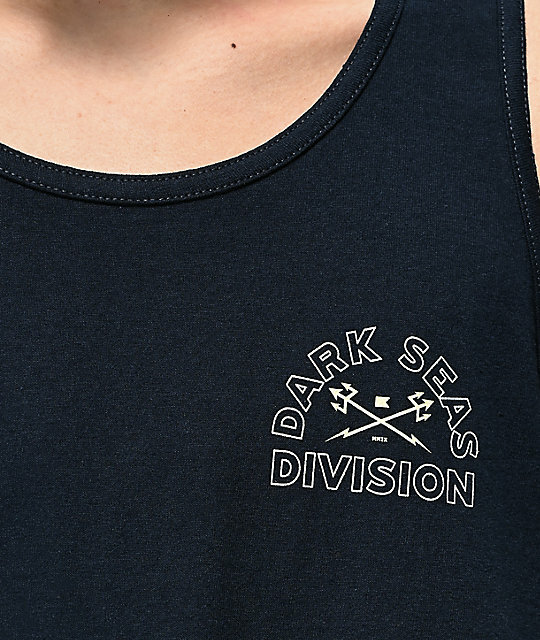 Go sleeveless this season, decked out in the Dark Seas Watermarker Navy Tank Top. 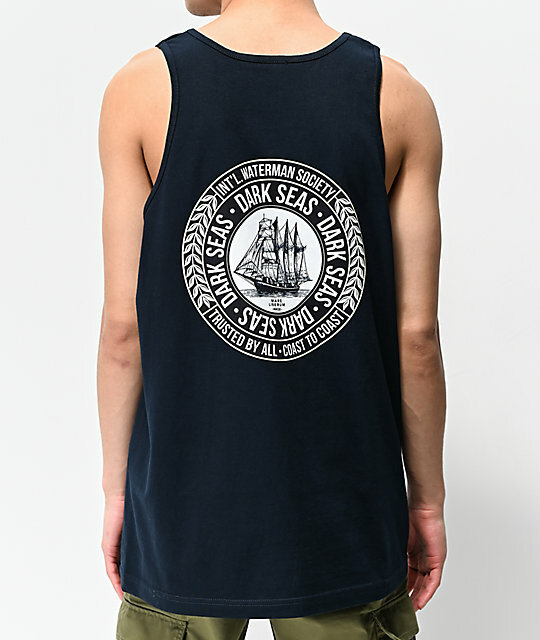 This dark blue garment features a signature logo graphics on the left chest and a large logo emblem on the back that includes a large 19th century seafaring vessel at the center. 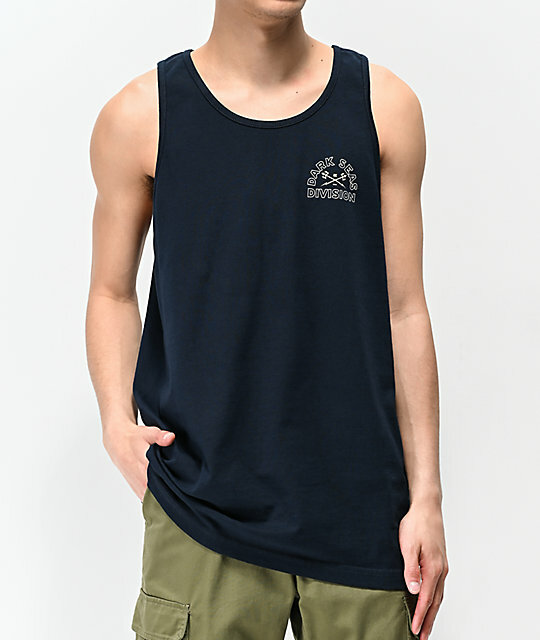 Watermarker Navy Tank Top from Dark Seas. Screen-printed logo graphics on left chest, large logo graphic on back.